All the power and majesty of The Lion King return in this final volume of The Lion King trilogy. This two-disc Special features an all-new vibrant digital picture presentation of the film. Meet Kiara, Simba's headstrong daughter and heir to the Pride Lands. While on the prowl for adventure she encounters the mischievous Kovu, a young member of the banished Outland Pride chosen to walk in Scar's paw prints. As they seek their places in the "Circle Of Life", Kiara and Kovu find that they may be the only hope for healing the rift between their prides! The Lion King 2: Simba's Pride Special Edition included original cast members, stunning Disney animation, six spectacular songs and new bonus features. 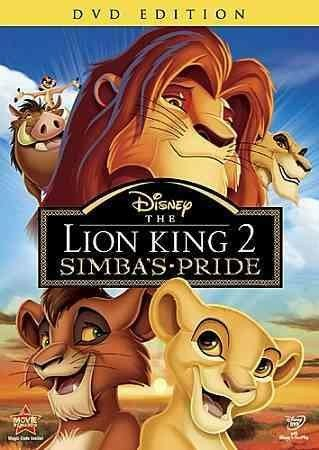 Complete your family's Lion King collection with this enchanting film!